Hello everyone, I've just returned from a short break and am feeling relaxed and refreshed so thought I'd share a tutorial with you all. 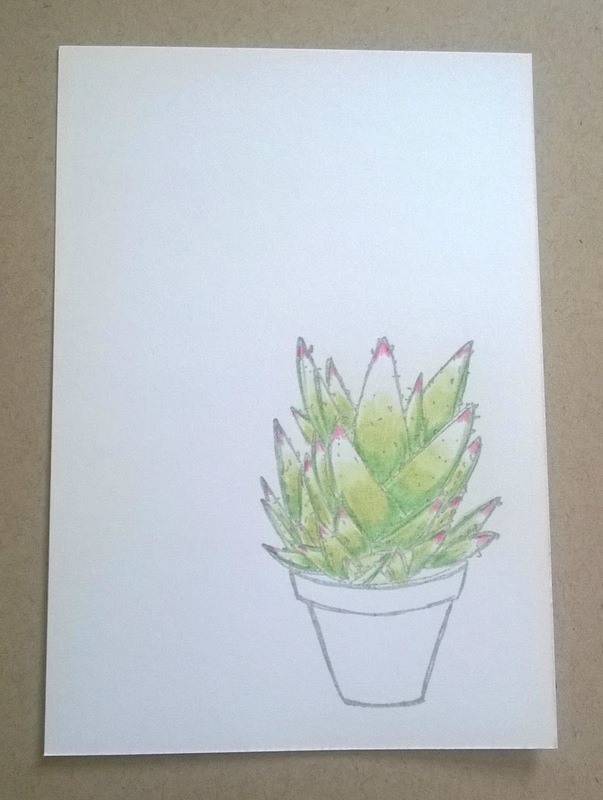 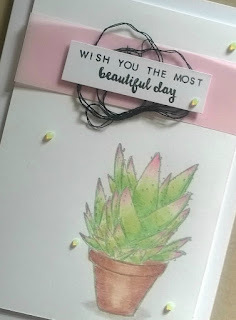 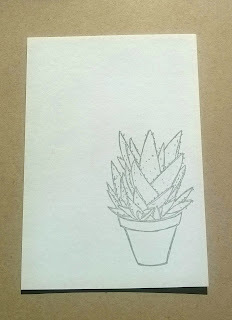 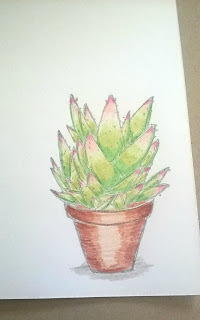 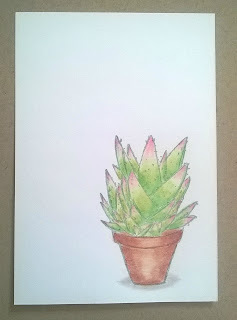 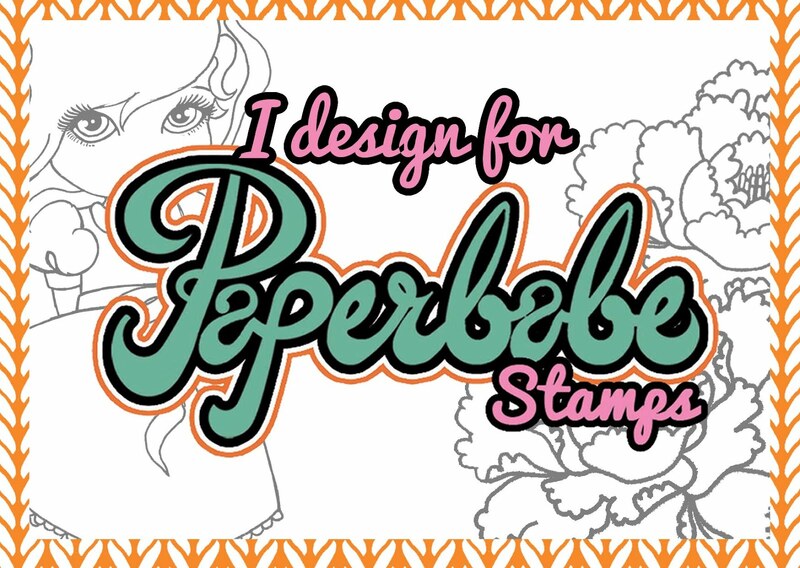 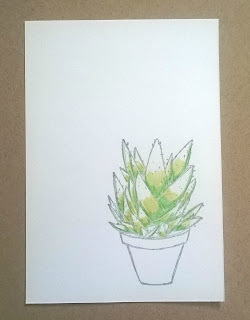 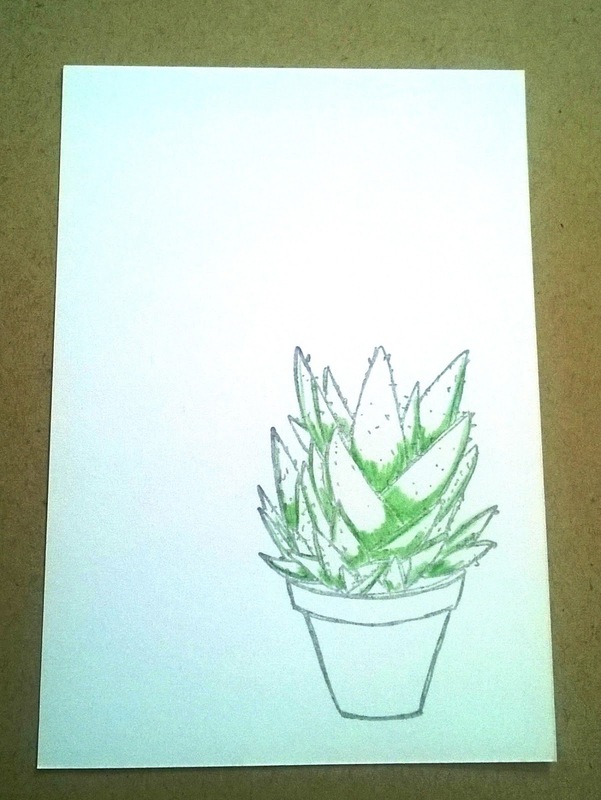 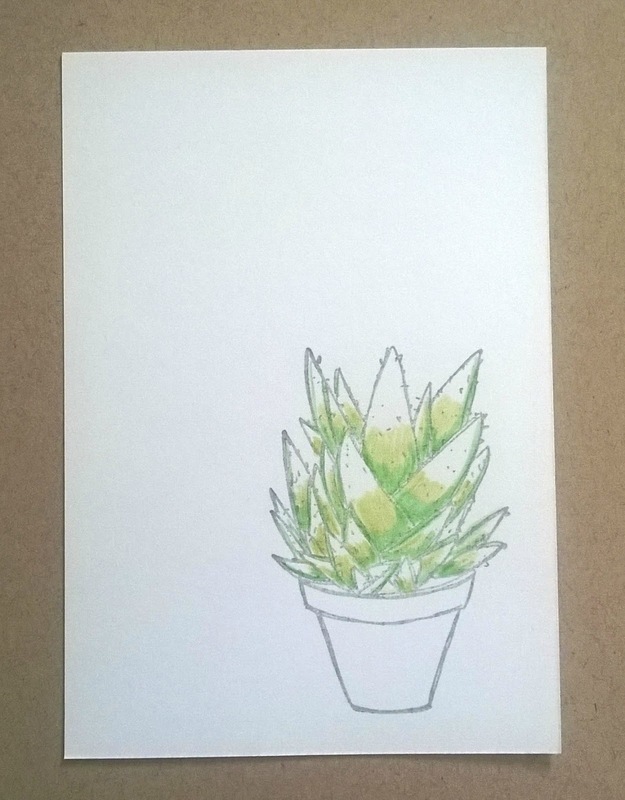 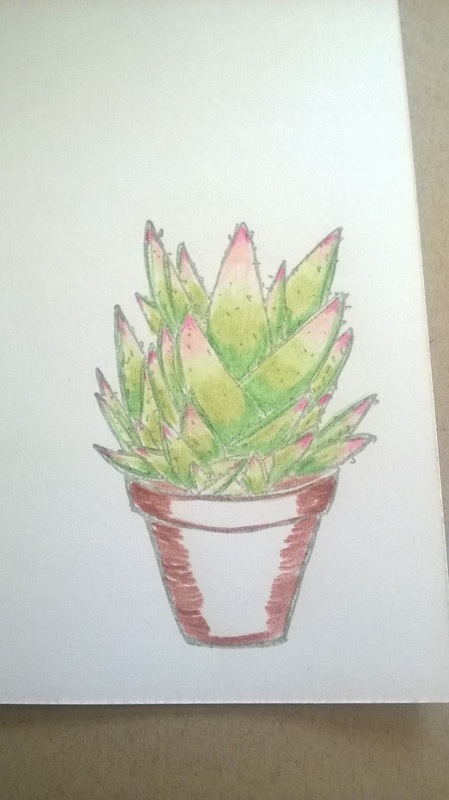 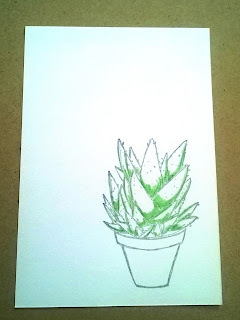 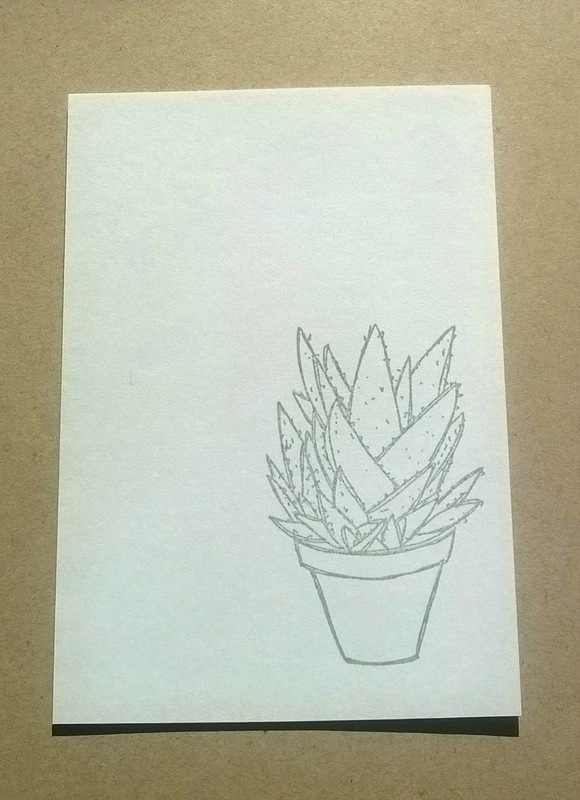 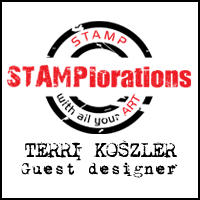 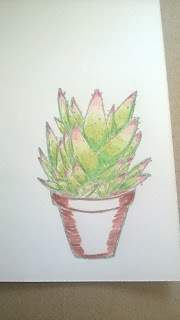 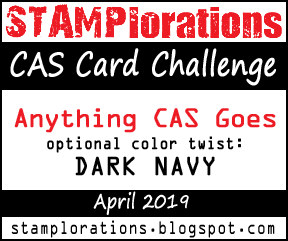 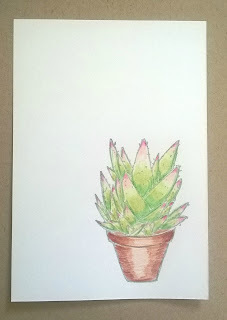 In this tutorial I am going to walk you through colouring a stamped succulent image using blendable pencils and Altenew stamps. 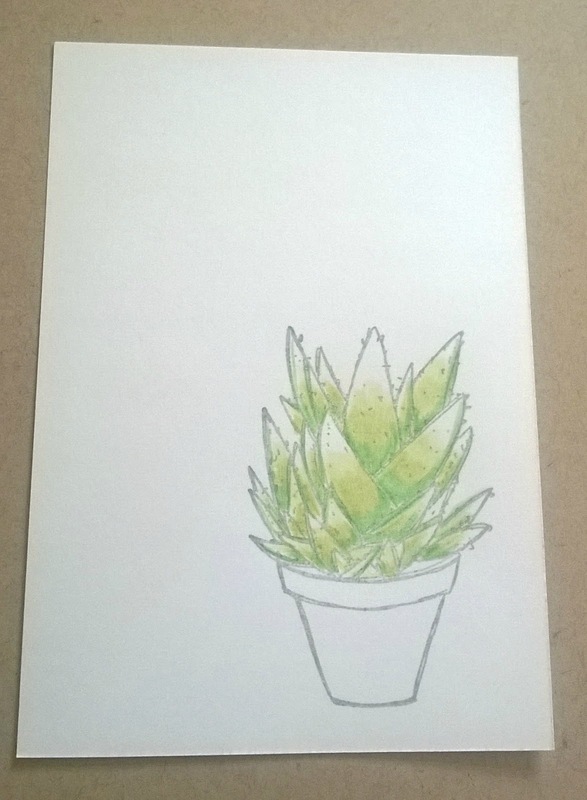 I will be using 3 shades of green in the leaves, I start adding the darkest shade to the base of the leaves. 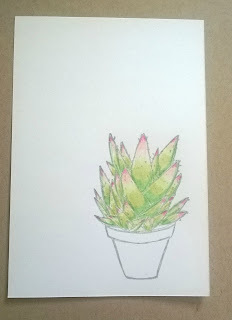 Next I add my lightest colour over the already coloured areas and again a little further up the leaves but making sure to leave some white area near the tips. 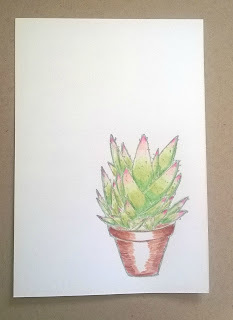 Here I use some blending solution and a paper stump to blend the colour to give a smoother look. I also added some grey around the base of the planter so it becomes grounded and doesn't look like it's floating. Once again I blend the colours as above. I then stamped a sentiment onto a piece of white card, added some black twine and a piece of pink vellum and attached them to my card. 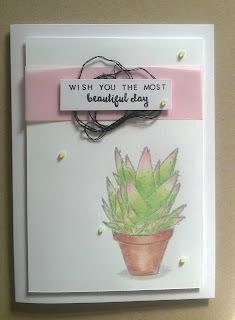 I then embellished using some Nuvo Jewel drops in a green colour to fill some of the white space. 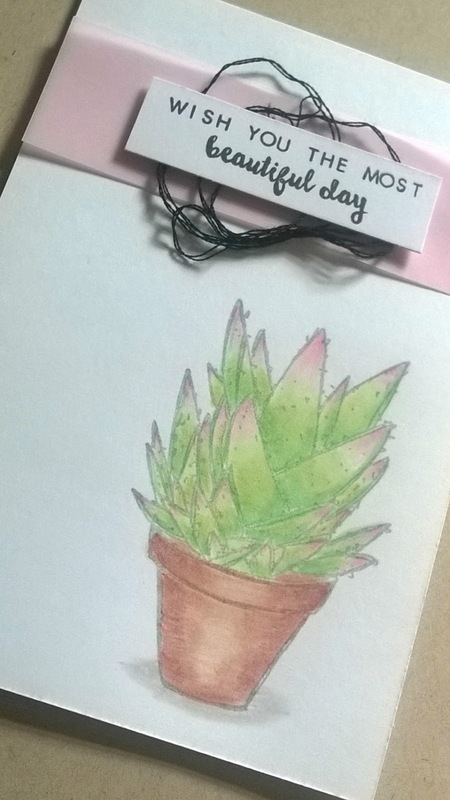 I hope you've enjoyed todays post, I hope to bring you more crafty tips and tutorials soon.